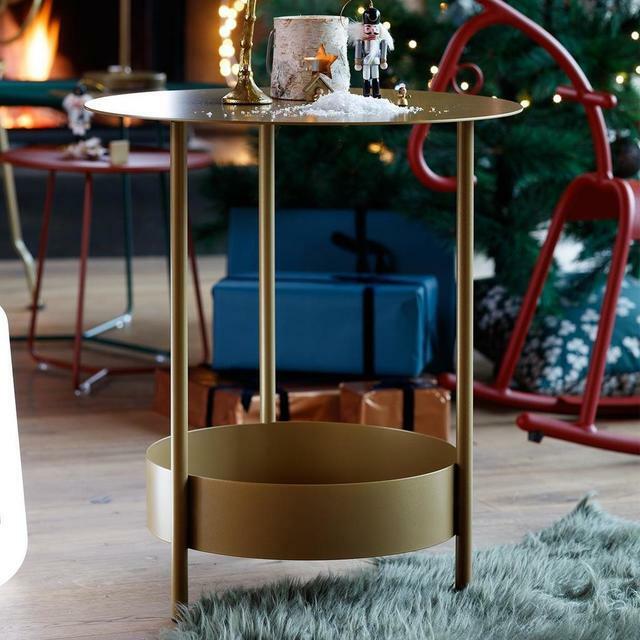 These Salsa side tables are available in gorgeous gold. 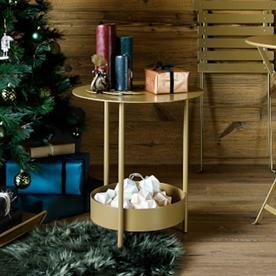 This unusual side table by Fermob is available in smooth and sleek gold for a limited time only. It has a rounded design, and an asymmetrical look, with three ultra-stable legs for stability. 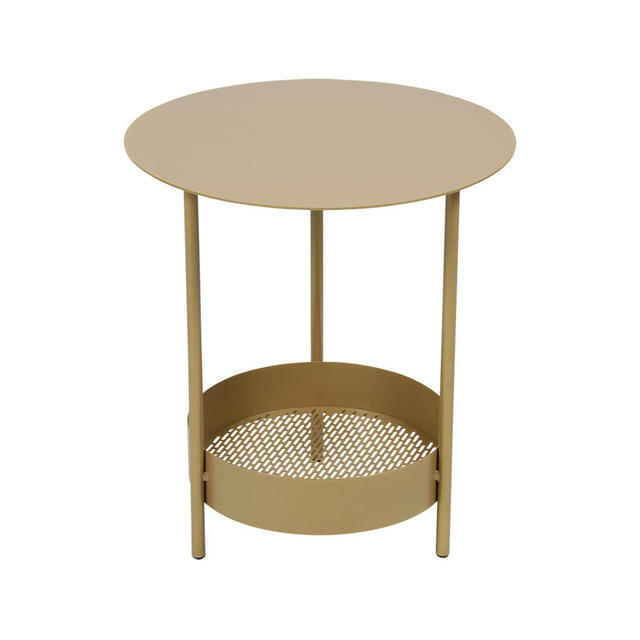 The side table is an elegant companion to your indoor or outdoor furniture, and can be used as a low table, or a stand to hold flowers, as it has drainage holes in the bottom shelf. 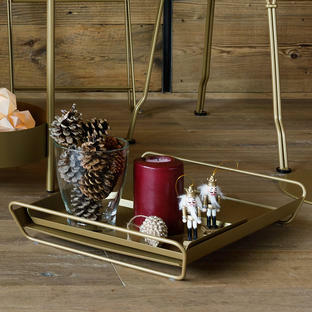 The gold colour also works perfectly with the Fermob colours of cedar green, red ochre or sassy pink praline. The range is available in 24 different colours. 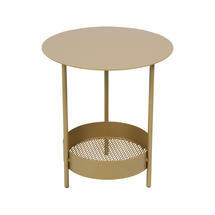 Made in France using premiere grade steel, with an anti-rust treatment and 100% UV resistant polyester powder coating. 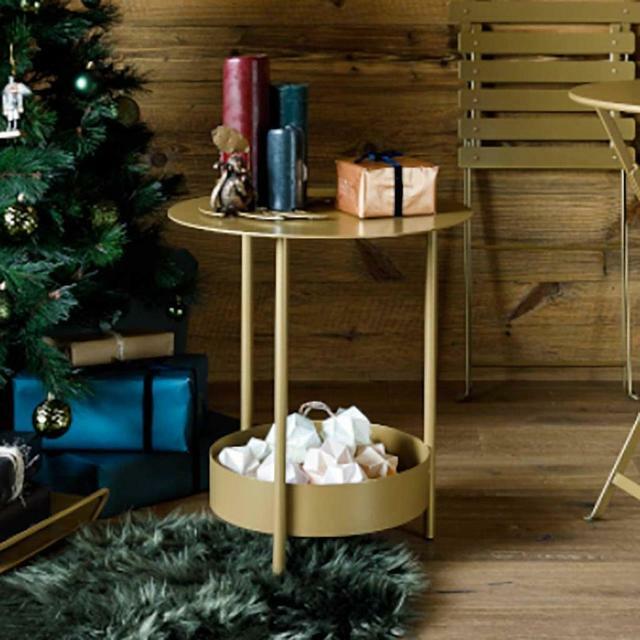 PLEASE NOTE Additional T&C's for Fermob furniture. 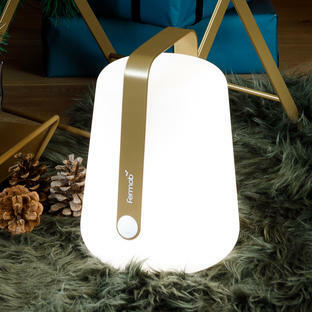 Made in France by Fermob, using top grade steel, with an anti rust treatment and 100% UV resistant powder coating to prevent fading in the sunlight. Steel rod frame with a sheet steel top. Fermob furniture receives a high protection treatment so that it can be used outside. 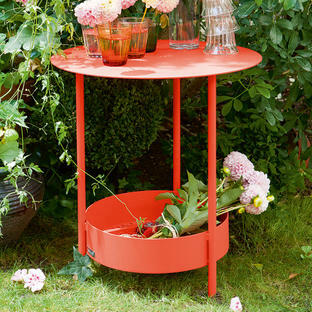 Fermob furniture is easy to care for, simply wash with mild soap and water and leave to air dry. Plastic caps are provided with the furniture to protect the feet. Please do not place pots or any thing with a rough, scratchy surface directly on the table tops. Do not use covers on the winter with this furniture. If you need more advice, please call us on 0345 605 2505. Check lead times below the item price. This item will normally be despatched from that date in accordance with your delivery choice. We will contact you if there is any unexpected delay to this estimate. • Don't forget to add any delivery notes at the checkout if your property is hard to find.